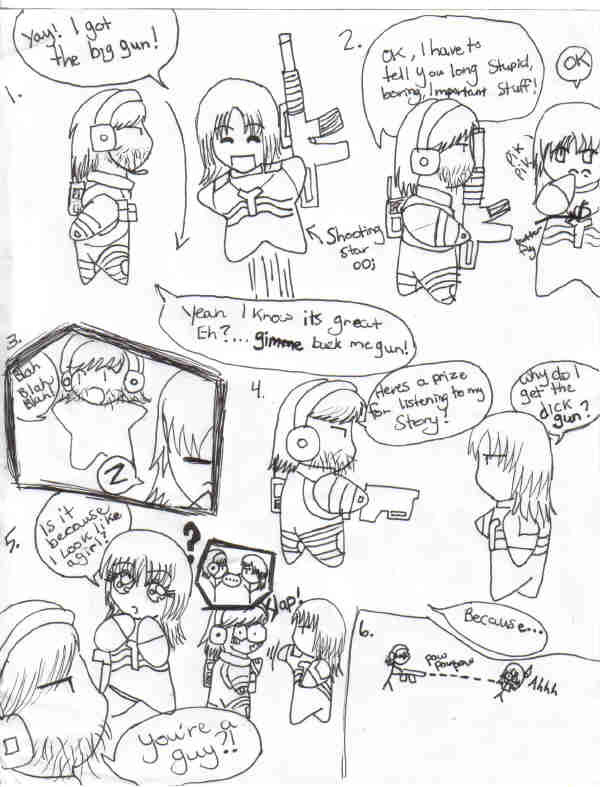 I saw the part when vamp is killing al the navy seals and then when raiden got snakes gun and gave it back, and when snake gave him a smaller gun....i was thinking...wouldnt raiden complain...lol anyways i was bored ._. God, I remember that part. Do you play this on the PS2 or Xbox? I have it for Xbox. what was snake going to say? that's an interesting symbolic point you brought up about the whole big-gun/small-gun thing..